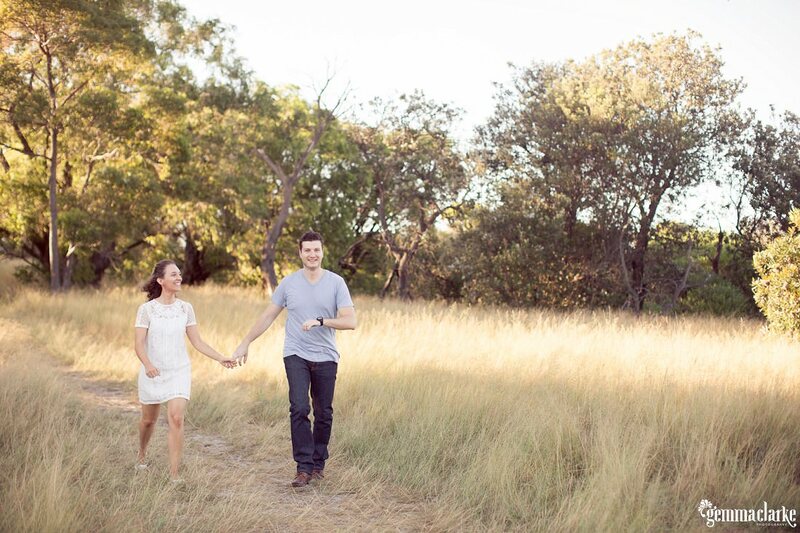 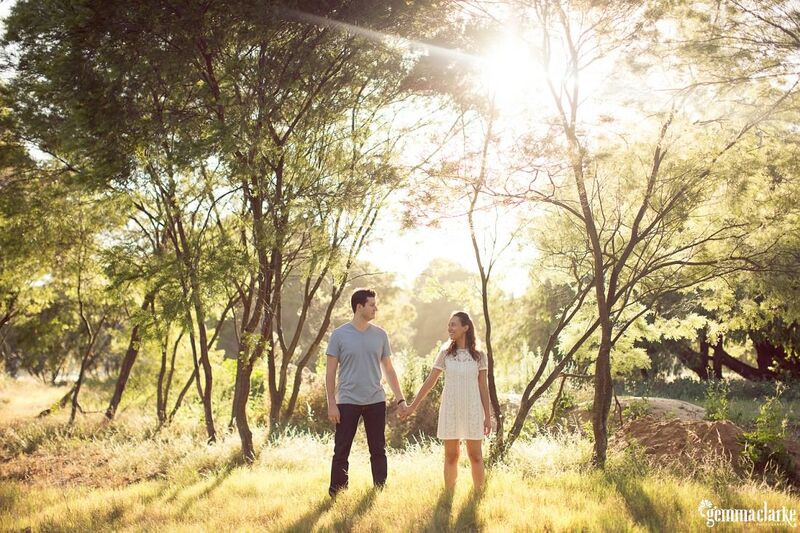 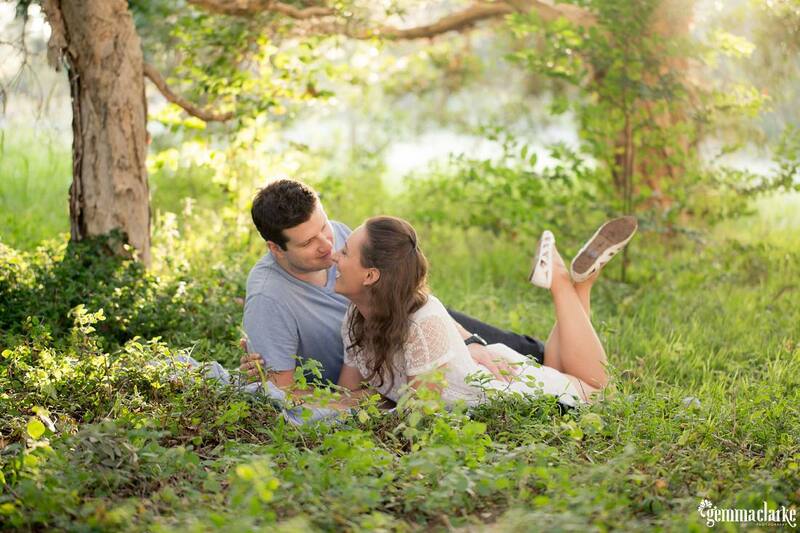 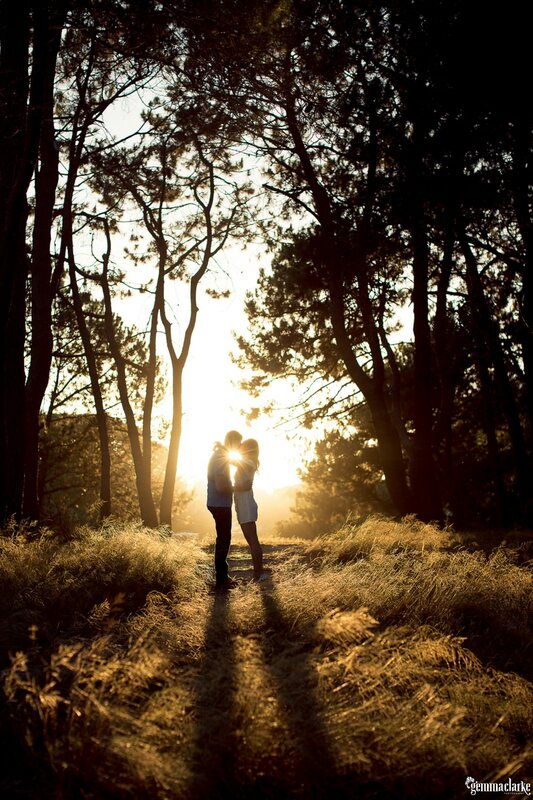 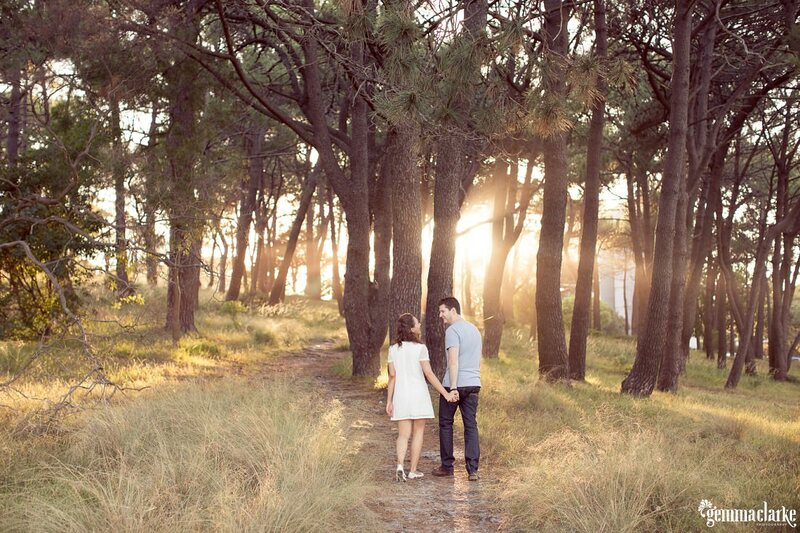 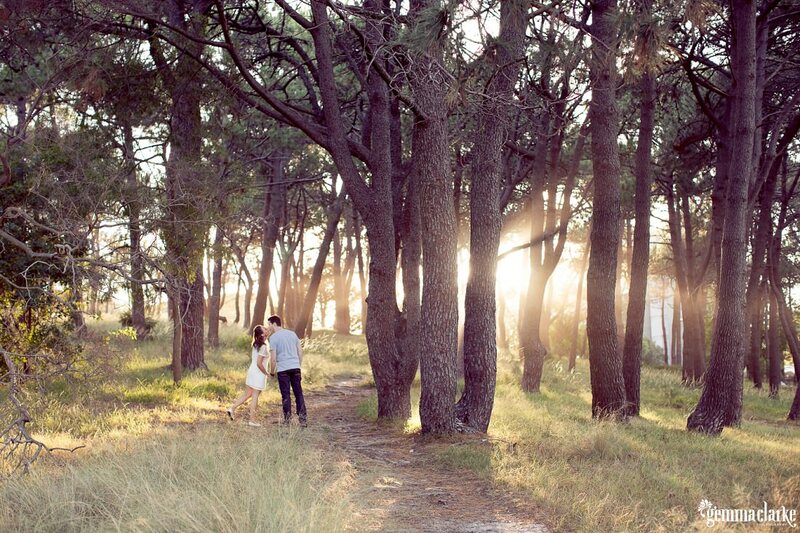 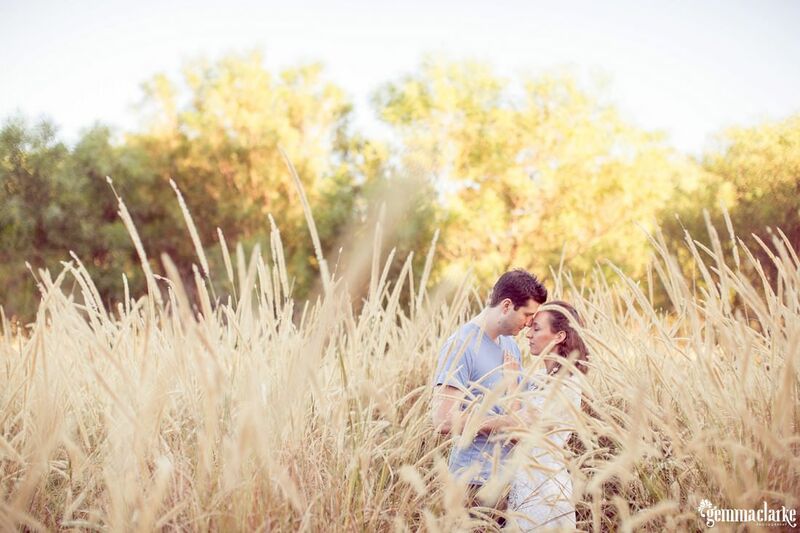 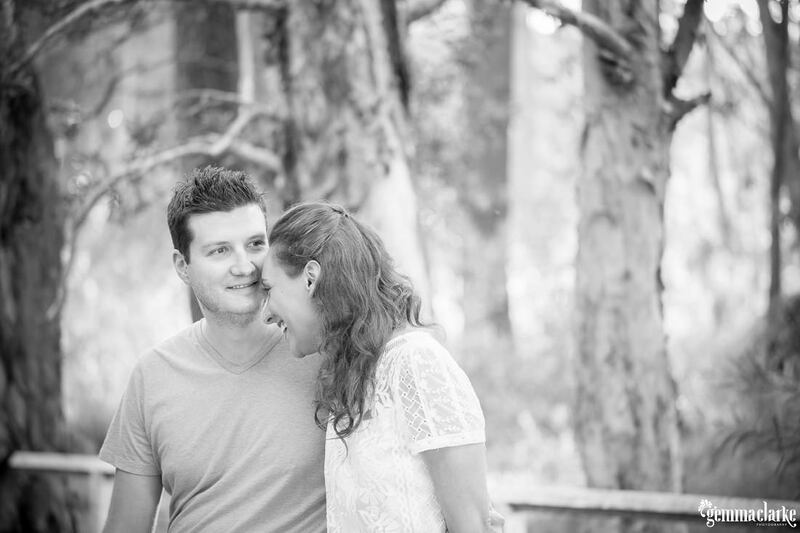 Luisa & Nick's Centennial Park Engagement Photos - AMAZING sunrise! 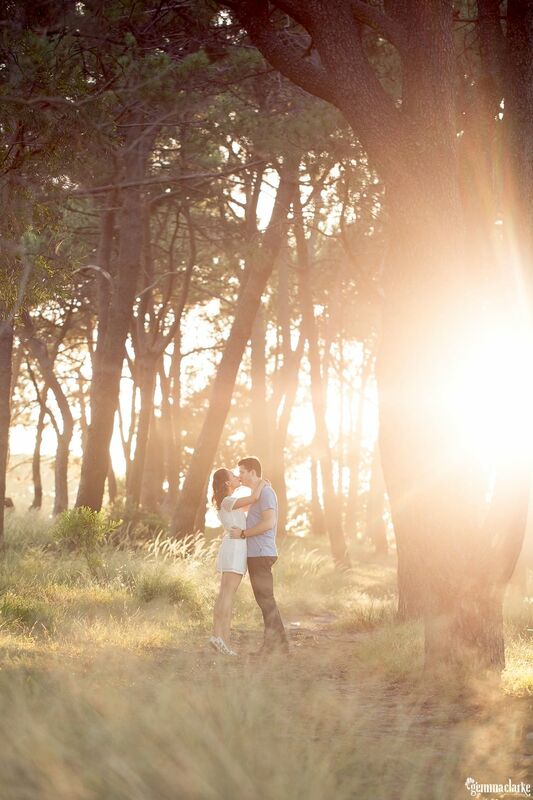 The planets were in alignment for this summer sunrise for Centennial Park engagement photos in Sydney. 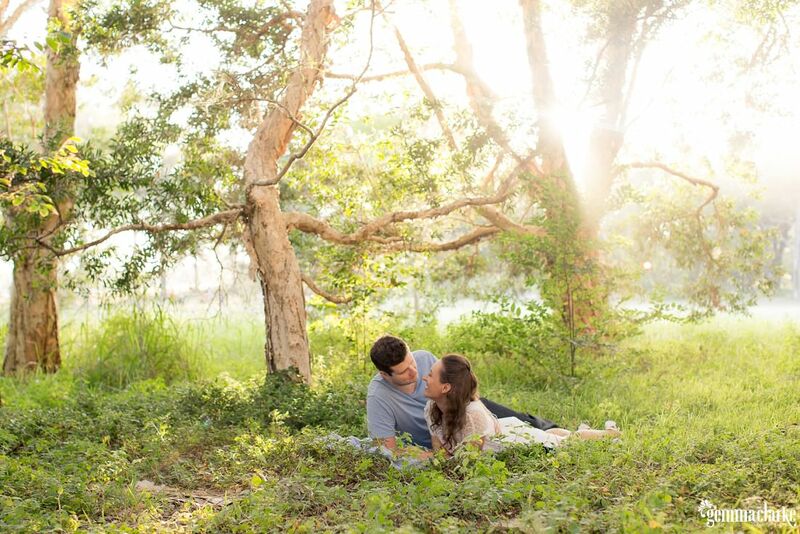 Everything was amazing – the light and angles, the couple and the good vibes! 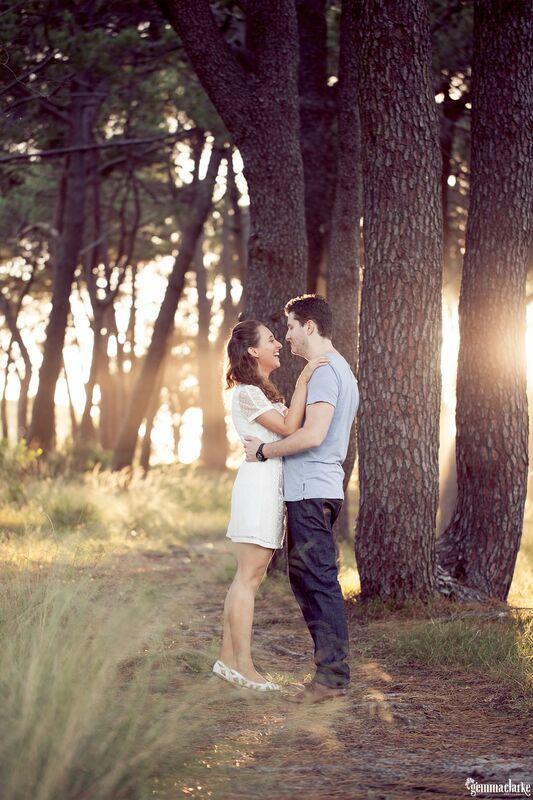 Who would believe that we had to get up at 4.30am to do this and everyone was so cheery?! 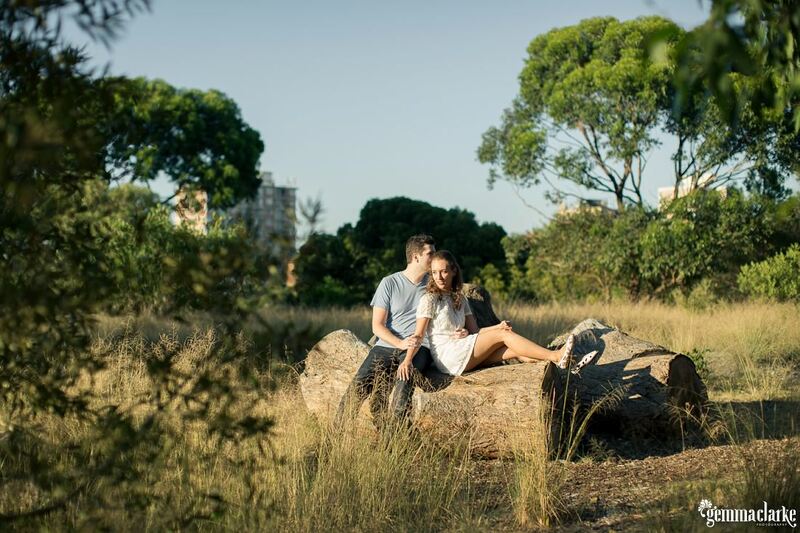 Centennial Park offers a lot of variety for photos if you want different looks – from a pine forest to long grass with fields to big fig trees to paper bark trees to manicured gardens to lakes to ground covering ferns. 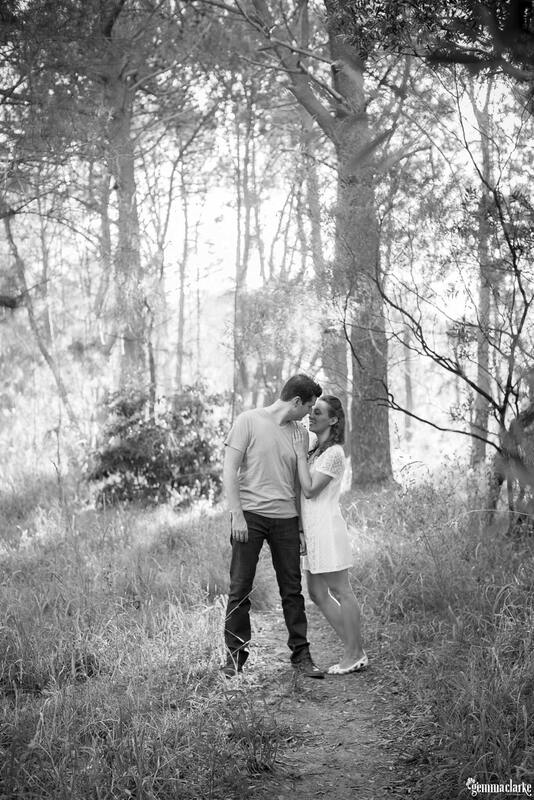 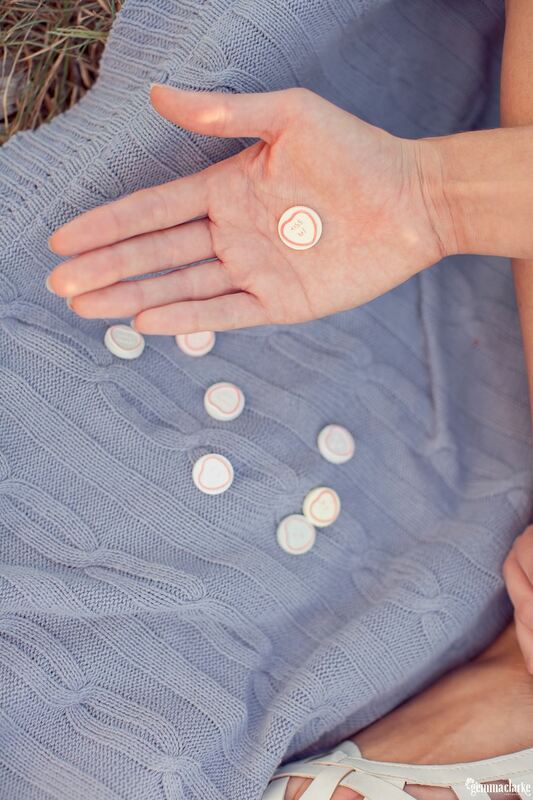 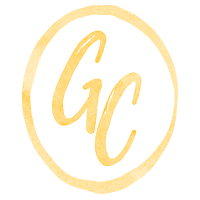 I have had couple choose romantic sessions, fun and quirky sessions or all three! 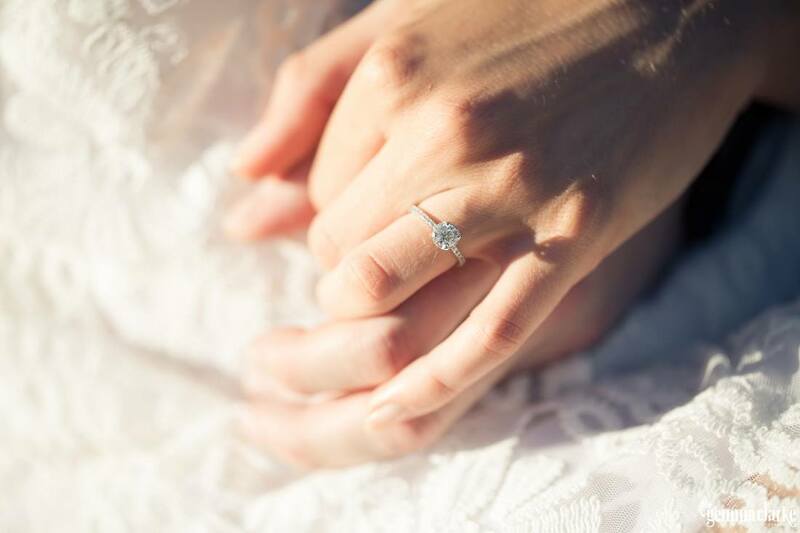 There is certainly a lot of fun to be had during this time and I highly recommend to take the time to do this before your wedding day.  It is a great way to get away from the hustle and bustle of the wedding planning but also a great way to feel more relaxed in front of the camera and get an idea of the types of photos you would like for your big day! 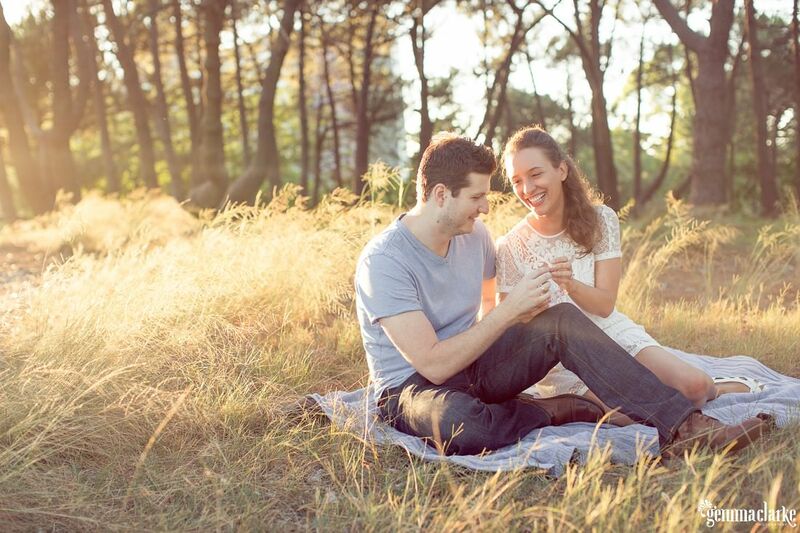 Centennial Park engagement photos are certainly highly recommended by me! 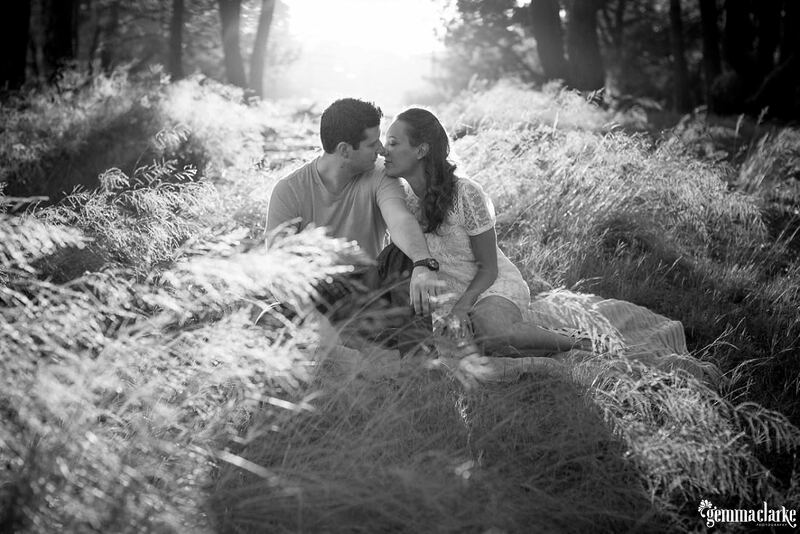 Please click here to see Luisa and Nick’s Wedding photos.